US industrial designer who was born in Altoona, Pennsylvania in 1906, and received a BA in architecture from the University of Pennsylvania in 1930. Norman Bel Geddes hired him in 1932 to create illustrations for his book, Horizons. He joined Walter Dorwin Teague in 1934, was named a partner in 1945, and headed Teague's Los Angeles office until it closed in 1949. Notable accomplishments with Teague include the Kodak Building and exhibits at the New York World’s Fair of 1939-40 and wartime accounts, such as the gun director and the gun port seal. The latter project along with Navy ordnance pamphlets won the Naval Ordnance Development Award in 1945. In 1950, he was recruited by Raymond Loewy to join his New York staff and in 1952, he went on to manage Loewy’s Chicago office. From 1954 to 1970, he headed Stowe Myers Design in Evanston, Illinois and received the prestigious Italian Triannale di Milano (11th) in 1957 for a multi-use table design. Other awards and citations include the United States Commerce Department citation for outstanding service to the United States Government for the U.S. Exhibit at the 1959 International Trade Fair in Casablanca, Morocco and selection of his designs at museum exhibitions that include a laboratory meter for the First International Exhibition on Industrial Design in 1963 at the Louvre Museum in Paris, a laboratory beam scale for the International Exhibition of Industrial Design in 1963 in Buenos Aires, and a water heater drain valve for the 14th Annual Design Review in 1968 at the Brooklyn Museum. His toy design, Toy Maker for Tinkertoy, was judged one of the best new toys in production at the time by the Toy Manufacturing Association. Myers was a founding member of the West Coast Chapter of the Society of Industrial Designers, its chairman in 1946, as well as for the New York Chapter in 1951 and the Chicago Chapter in 1955. He retired in 1976 to paint, and was named official artist of the US Air Force in 1978. He moved to New Orleans, Louisiana in 1988, and was awarded IDSA Fellowship in 1990. Around the same time, he provided materials for Ray Spilman’s Endowment of the Arts Project documenting the stories of many designers from his generation, that are archived at the Syracuse University’s E.S. Bird Library Special Collection, and in 1995, Vicki Matranga’s Art Institute of Chicago Midwest Designers Project. 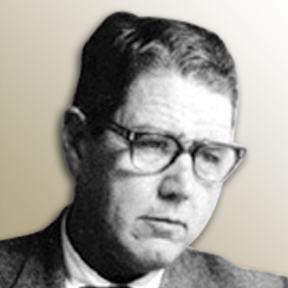 Stowe Myers died in New Orleans in 1995.